1. 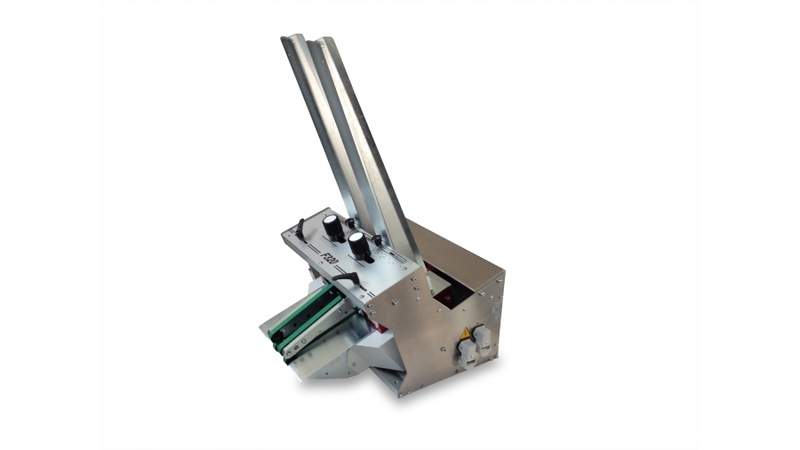 Eliminated the problem of the difficult replacement of the peeling belts subject to wear, greatly simplifying the task without the need for specialized technicians and reducing down time to 3 minutes. 2. Quick adjustment of product width. A knob is sufficient to move the entire feeding group (including all rollers, belts, etc. ), greatly simplifying operations compared to traditional systems. F350 COMPACT Includes the complete mechanical system common to the F350 line, but without control electronics. It must be activated and controlled by the external electronics from the packaging line. F350 COMPACT is made in a professional way and equipped with the best technologies. The mechanisms have been realized for industrial use, all the axial movements are realized on ball recirculation guides and all the adjustments are with graduated scales. Moreover, for an optimal separation of the products, the output belts move faster than the ejection belts. Many other accessories such as automatic loaders, outfeed conveyors, anti-jam sensor, end-of-load sensor, encoder etc. are available. ATTENTION: images, movies and literature, refer to earlier version "F320" and are being presently updated. For the characteristics of "O.C.S." technology, please go to the page on "F350 COUNTER S".